A great story that finished off what has been an interesting fantasy trilogy. This review will contain spoilers for books one (Shadow and Bone) and two (Siege and Storm), but you can read my reviews for those books by following the links in their titles. Since the first book, the Grisha trilogy had been heavily driven by Alina’s character development, something that I have loved in all three books. Alina continues to grow in Ruin and Rising, finally finding a version of herself that can balance her power with who she wants to be. It was a great ending to her character arc that felt believable. I loved the new characters in this book, as well as getting to know some minor characters better. All of the characters added originality and life to the story, and while I wish that a few of them had been focused on more, I was pleased overall with the group that assembled around Alina. I still didn’t really care about Mal and Alina as a couple, but I liked watching their relationship progress throughout the story. Their relationship progressed at a good pace, never feeling out-of-character or overly dramatic. The romance never over-powered the real plot, but it was always there, helping the story along. The Darkling had a larger role in this story than the last one, which I was happy about (that had been one of my only complaints about book two). His character took some interesting twists and turns, solidifying his place as a fascinating villain. The plot of Ruin and Rising follows Alina’s quest for the firebird to gain the third amplifier. The quest separated Alina and her fellow characters from the political web that had been the focus of the previous two books. While I can’t deny the plot was paced well, I felt a little let-down with the new focus of the story. It was strange to read a final book in a trilogy that backed away from the major climatic issue of who will rule the country to focus instead on one character’s quest. I am not saying that it was bad-weird, but I am not convinced that it was good-weird. The best part of Ruin and Rising was that the story finally talked about important issues. The previous two books had focused on plot and characters, leaving little room for discussions of societal problems or controversies. Because of this, neither of the previous books felt especially meaningful. One part of Ruin and Rising made me uncomfortable, unfortunately. I felt like there were undercurrents of condemnation for people who didn’t react to trauma well. A few scenes made it seem like people who suffer from PTSD were “weak.” This really didn’t sit well with me, and while it wasn’t a major part of the book at all, it wasn’t something I could overlook. The ending of this series left me conflicted. On one hand, it was a perfect ending for Alina’s story. It wrapped up everything and gave every character an ending that they deserved and that made sense. On the other hand, it was a very bittersweet ending, and I found myself wishing that Alina had gotten a different, grander one. It was an ending that dealt with a lot of loss, and even though it could be considered “happy,” I feel melancholy thinking back to it. 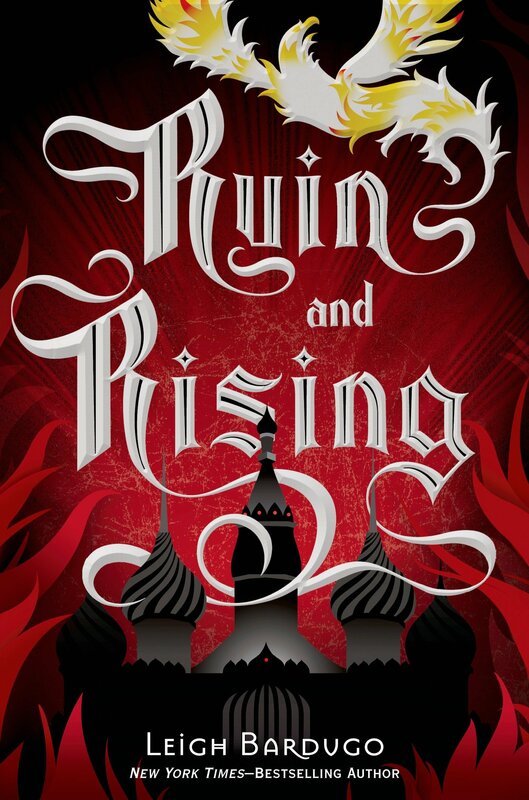 I would recommend the Ruin and Rising to anyone who has read the first two books in the Grisha trilogy. It does an amazing job of finishing the series, giving the readers surprises, heartbreak, and happiness. I can’t say that this trilogy is one of my all-time favorites, but I am very glad that I read it.